Windows 10/8/7 users may encounter the problem of how to use the free sound mixer to merge sound tracks into one. Luckily, there are many free computer sound mixers for you to make use of. If you do not want to compare and search these tools online with much time, you can read this guidance to know several of them for you to apply. Here I would like to list the top 5 free sound mixer for windows 10/8/7 to mix tracks as you like. You can take a deep look into them and choose one that fits you well. 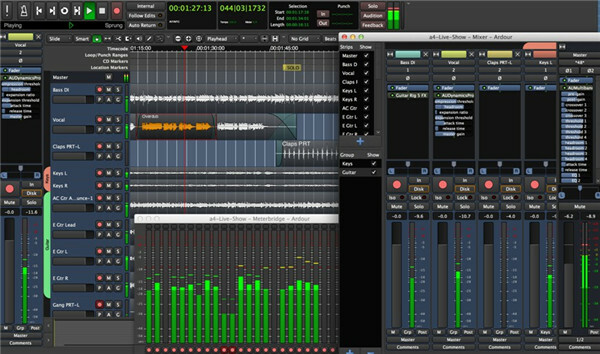 Wavosaur is one perfect free computer sound mixer, which allows users to edit and batch process tracks. It is known as one excellent combination between a Digital Audio Workstation and a minimalistic music-mixing program. You are also able to add sound effects into an audio track with the help of this tool. It also allows users to undo the operation without the demand to reload the original file. With professional and efficient user interface, you can find the tools you need effortlessly in the toolbar at the top or bottom of the main window. It can support the VST FX and ASIO (Asynchronous Input/Output), a Steinberg standard for low-latency audio. As another best free sound mixer, Ardour enables you to record, edit and mix tracks. Although the interface of it is professional, it is not hard for you to get used to it at all. It is quite helpful for sound track editors, audio engineers, and musicians to take advantage of. The features of it in editing and mixing are advanced. Audio engineers can mix their MIDI projects with ease with the help of this tool. The enhanced recording features can benefit musicians and composers a lot. Audacity also ranks high as one free track mixing tool, which can edit audios professionally and efficiently. The user interface of it is very friendly, which can offer you the seamless audio output as well. 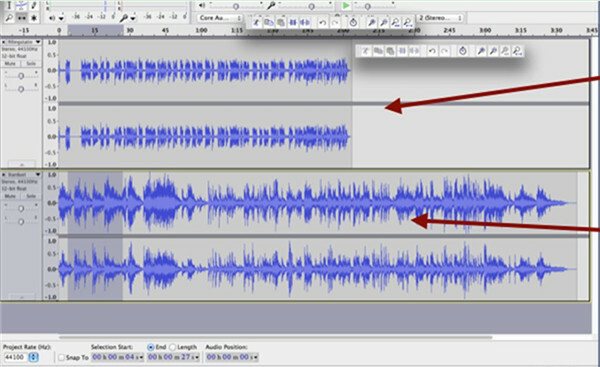 It is one open-source tool, which offers users with various kinds of options for recording and editing audios. The layout of this software is very small. You can see the toolbars in its interface for you to navigate a track, edit it and mix different tracks. You will see the waveforms when the tracks are loaded into the window of the tool. It is quite convenient for users to adjust pitch, bass, and treble, or normalize noise and add effects like reverb and phasing. 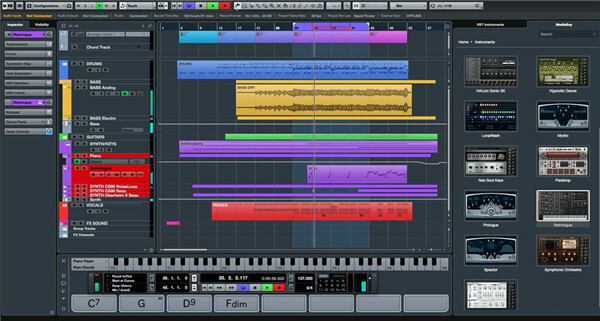 Cubase is on well-known audio mixer, which is released in 1989 for the first time. It can be used to record sound by MIDI and audio tracks easily. This software has become multi-functional after improvement for years, which can be applied to edit multiple sound tracks and mix audios with high efficiency. 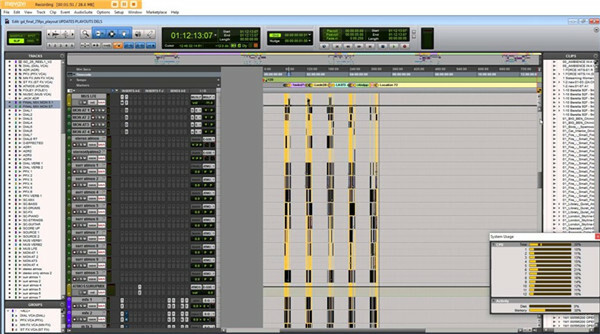 Pro Tools is popular among users, which can record audios with high efficiency and high quality. You can also enjoy a wide range of sound recording and production at the same time. It is also known as one free sound mixer, which offers non-destructive editing and Undo function. It also enables users to save projects in the cloud space and the multitrack recording feature of it is fairly useful. The sound mixers listed above are all very good for you to make use of. You can choose one of them to assist you to get mixed tracks. As for how to use them, you can search online to get the relevant tutorials to help you to make it. 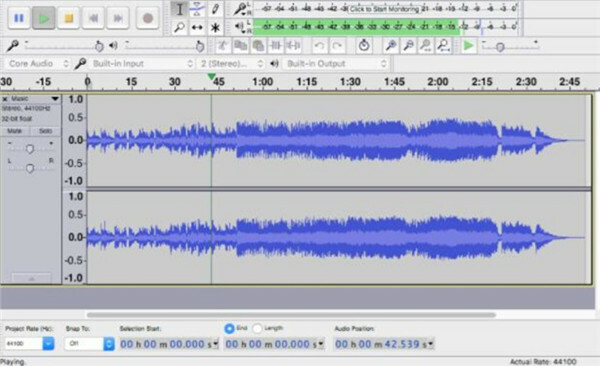 After having known Audacity in the first part in brief, you can continue to read this part to see how to use this tool to mix sound tracks with this wonderful software. This tutorial will be useful for you. 1. Download and install Audacity on your computer. Kick it off and then navigate to the “File> Open” tab to browse your computer to find the track that you desire to mix. Choose it and then hit on “Open” button. This track will be imported to the interface of the software. You need to wait for a while and the audio waveform will be shown in the window. 2. Drag and drop another track into the window of Audacity. You will see an importing panel before it is available in this software. 3. By default, the audio tracks that you add to the software will begin to play simultaneously. If you would like to alter the location of the audio tracks in the timeline, you can make use of the Time Shift Tool circled in the picture shown below. Choose this tool and then go over the sound track that you desire to move. Hold down left-click and move left or right according to the time that you want your audio to begin to play. 4. Afterwards, you can hit on “File> Export as MP3” to export the mixed audio track. You can name the file and find a proper location to put it. Hit on “Save” button and wait for a moment. Thus, you will get the mixed audio file in the folder you just set. As you can see, it is not hard to use Audacity to mix different audio tracks for background music at all. You can download and install it on your computer to have a try with this excellent tool. If you feel it is quite useful for you, you can also share this guidance with your friends in case they need. If you would like to get free audio samples from some paid audio websites, you can make use of Leawo Music Recorder to realize your goal. This program can record any sound from computer and microphone, which can be applied to 500+ music sites. It is also available for you to schedule the audio recording via the task scheduler. In addition, you could edit music tags manually. With the assistance of this excellent audio recorder, you can get free audio samples for mixing effortlessly. You can read the following contents carefully to see how to use this tool to achieve your aim. Download and install Leawo Music Recorder on your computer. Launch the program and then hit on the microphone-shaped icon at the bottom left corner of the interface to call out the settings panel. When the panel shows up, you can click on “Audio Source” menu to choose the option of “Record Computer Audio”, for you need to record free audio samples for mixing from computer. 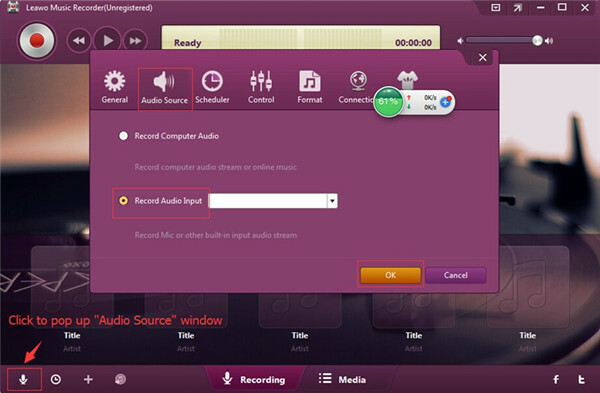 If you choose to check the option of “Record Audio Input”, you will be able to record Mic or other built-in input audio stream. Since you need to set a location to put the recorded audio sample, hit on the “General” tab to select one suitable folder on your computer in which your recording can be saved. You can also set the UI language to “English” or other target options according to your demand. Hit on “OK” button to save your settings. 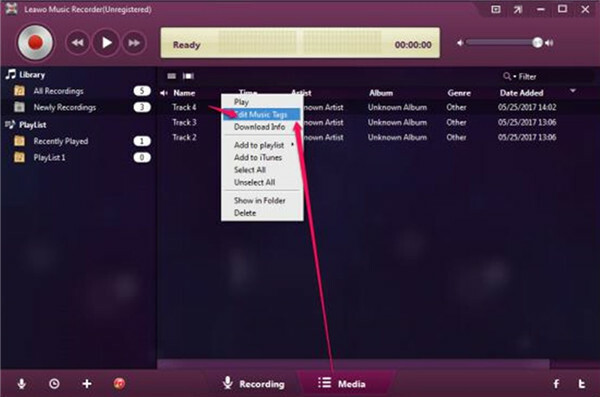 Afterwards, you need to hit on the menu of “Format” to choose one proper format to save your recording from two different options: MP3 or WAV. What’s more, you can modify the audio parameters, such as the audio codec, bit rate and sample rate. 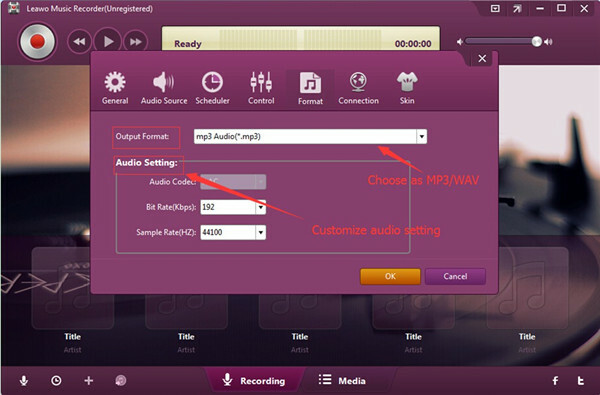 It is quite easy for you to customize the audio settings with this tool. Hit on “OK” button to confirm your settings. Playback the sample audio that you desire to capture and then hit on the recording button at the upper left corner of the screen. Thus, the recording will start right away. When the sample audio ends, you can just click on the recording button once again. Then, the newly produced audio will be shown in the recording list. Hit on “Media” menu to check your recording. Then, you can right-click on it to choose the option of “Edit Music Tags”. Thus, you will be able to edit the title, artist, album and artwork cover for it depending on your needs. You can also choose to hit on the option of “Download Info” to allow the software to automatically edit the audio tags. This will be quite convenient for you to get correct music info. After you read through this guidance, you will be able to get to know some best free sound mixing tools for Windows 10/8/7 and the method to mix sound tracks with Audacity. 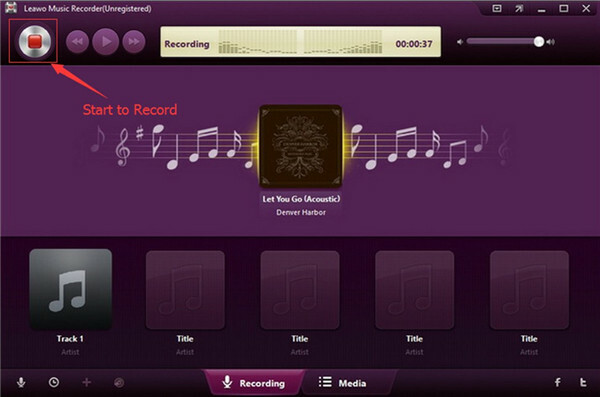 The guidance for you to get free audio sample for mixing with Leawo Music Recorder is also quite useful for you.